It may seem bad now, Jayhawk Nation, but things will get better. Yes, 2010 has been rough: the Mangino era is over and you’re still hearing jokes about him eating too much (it’s still as unfunny as it was on day one); Kansas lost to Northern Iowa in the second round of the NCAA tournament; Sherron, Cole and Xavier left and are in the NBA; Bill Self let Tyshawn Taylor get on Twitter and he is mentoring Josh Selby on the ways to handle social media; Josh Selby still isn’t cleared to play because of issues surrounding his ties to someone who is connected to Carmelo Anthony; Turner Gill lost his first game of his coaching tenure at Kansas; and Lew Perkins retired a year before he said he would. It will get better, trust me. Perkins needed to be gone. The Kansas Governmental Ethics Commission is meeting on September 21st to discuss ties bet ween Perkins accepting a personal loan of exercise equipment and the ties to everything else regarding the ticket scandal. While Perkins has been extremely successful at Kansas (Hell, he was named the best executive in sports by Time magazine), his time was up. Sure, he got his $2 million retention bonus that was undeserved because he didn’t finish the requirements for the bonus, but getting rid of him early is worth that $2 million. Sports by Brooks is reporting that a former employee of Kansas Athletics says that he is leaving early because he wants to be able to hand pick his successor (most likely Sean Lester, Jim Marchiony or Larry Keating). $2 million is worth not letting these three men become the next athletic director at Kansas. Why? Because that is what Lew Perkins wants and has always wanted. That’s the reason those three men followed Perkins to Kansas. The new administration is in need of a deep cleansing and to get rid of all the scum out of the corners of the shower. If there is an internal hire, Kansas won’t prosper as an athletic department. With an external hire, sure you risk having a rough transition period, but it is worth that. Trust me. Bill Self is 100% right. Lew Perkins has made this job one of the top athletic department jobs in the country. Now they need to use this to get the right guy for the job… someone from outside of the Kansas Athletic Department. Whoever is calling for Gill’s job. Please…just stop. You can’t expect Gill to make this team a good team after nine months. It’s not going to happen. Remember, Kansas lost Todd Ressing, Dezmon Briscoe, Darrell Stuckey, and Kerry Meier off a team that went 5-7 last year and that lost their last seven games. This isn’t going to be easy. 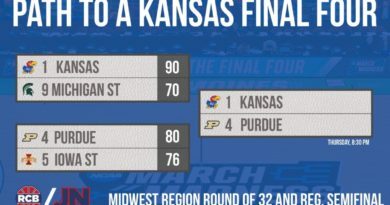 Now… I’ll admit that I would never have thought that Kansas would have lost to North Dakota State, no one could have predicted that. But we knew this wouldn’t be an easy transition. Gill needs time. He should get that time. Once he gets his recruits in, this will be a good football team. Until then, there will be embarrassing games like when KU played North Dakota State. Luckily, you can’t do much worse than losing 6-3 at home to North Dakota State. You can only improve. Gill should not be fired. The fans calling for his head sound like the people who continually call Barack Obama a muslim. Seriously, get over it. High expectations are great motivation for fans and players. But this isn’t the 2008 Orange Bowl squad. I’d compare this squad to the 2005 Jayhawks. Good defense and no clue on offense. 2006 was a rough year with games that KU should have won. I don’t expect KU to be highly competitive in NCAA football until their 2007 season… So look out for Kansas in 2012. Selby will be cleared. All will be fine. The basketball team will be better than you think. The more I think about it, the more I believe the 2010-2011 Jayhawks will be much better than the 2009-2010 Jayhawks. They may not win more games than them, but they’ll go farther in the NCAA tournament, easily. 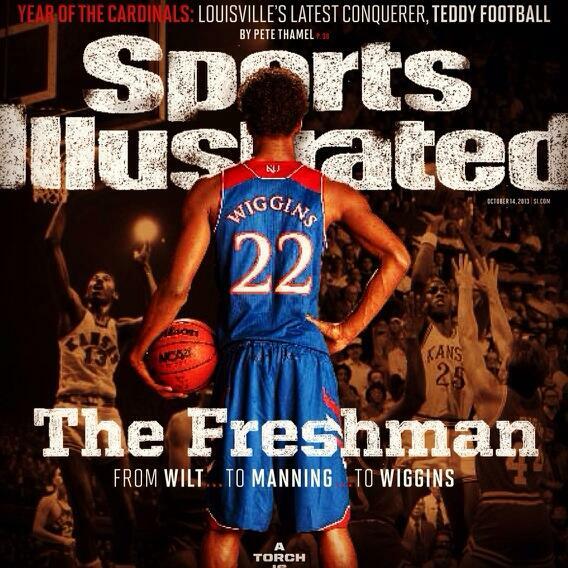 Sporting News ranked KU #4 in the nation and Marcus Morris a first team All-American. I think that is about right. We’ll find out in a couple months. So cheer up Kansas fans… the rough period is about to be over. The new dawn is coming.